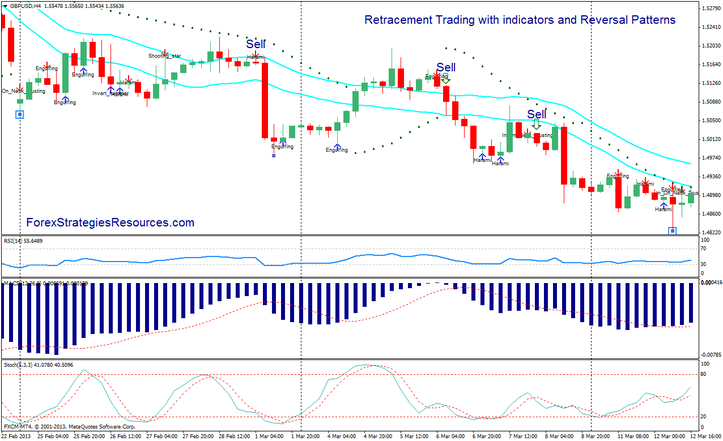 This retracement Trading Method is based on Moving average, RSI , MACD more candlestick reversal. chart. Best Time Frame forom hi or higer. two (indicators with reversal patterns). First: Retracement Trading Method with indicator. on the chart. Make sure trend of MA and price is up. on the chart. Make sure trend of MA and price is down. Parabolic Sar and ADX for Entry and Exit. 30/ 40 pips trailing stop together with order. there is Macd Crossover at the top . is MACD Crossover at the bottom. Spike reversal pattern indicator MT4. 2) On the chart paints reversal patterns. 3) MA should go up e Stochastic indicator crosses upward . there is Macd Crossover at the top (optional) . 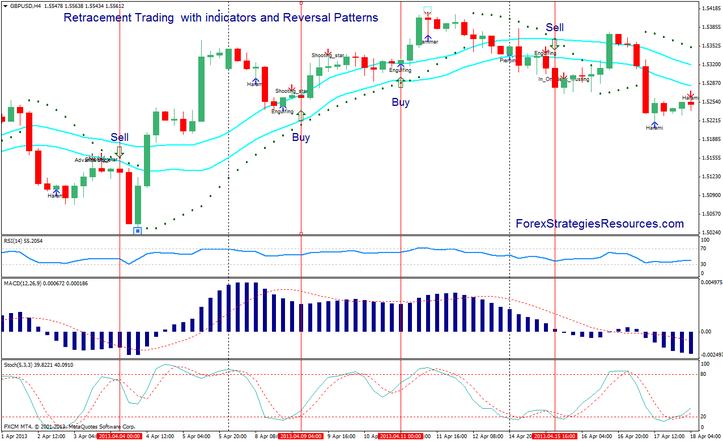 Second: Retracement Trading Method with indicators and Reversal Patterns. 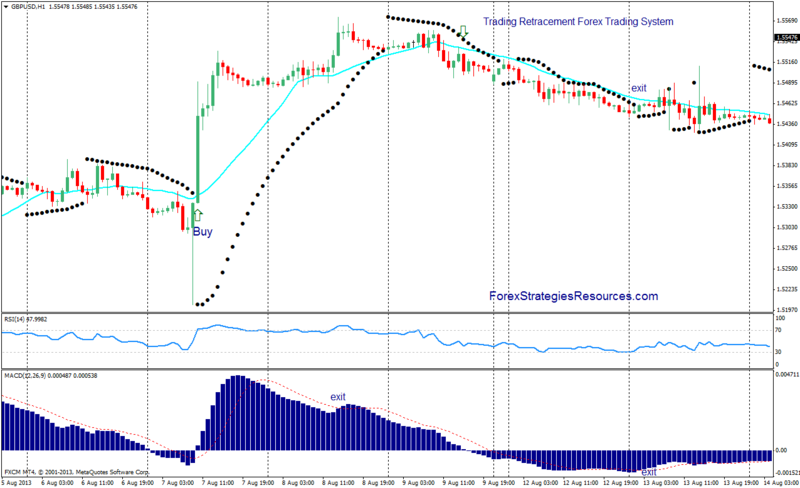 In the pictures: first: Retracement Trading Method with indicator.